Windy with mainly clear skies. Low 36F. NNW winds at 20 to 30 mph, decreasing to less than 5 mph..
Windy with mainly clear skies. Low 36F. NNW winds at 20 to 30 mph, decreasing to less than 5 mph. 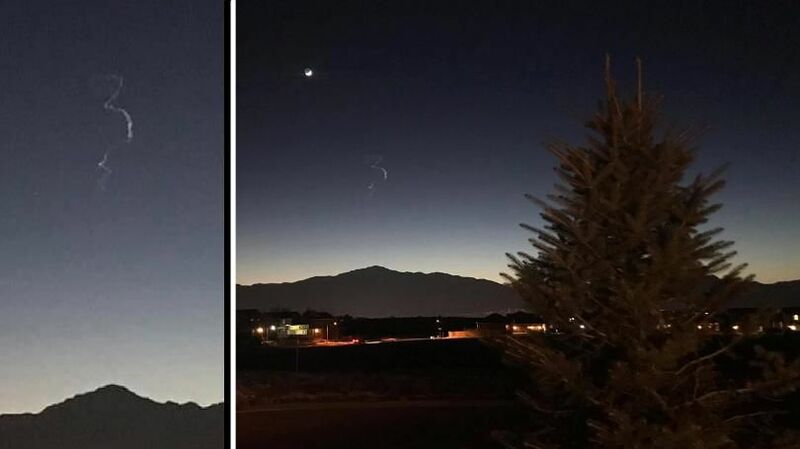 Several people reached out to Gazette news partner KKTV on Thursday night wondering what they spotted in the sky over Colorado Springs. Pictures flooded the newsroom of a winding smoke trail that appeared to be in front of the Rocky Mountains from viewers who were in Colorado Springs at the time. KKTV reached out to the Colorado Springs Astronomical Society for answers. 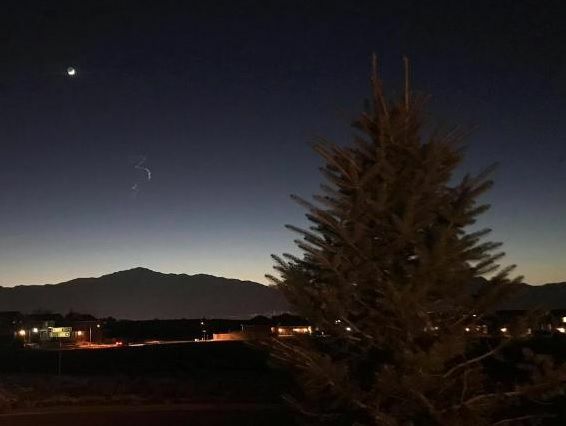 "It absolutely could be a bigger meteor trail," Public Relations Director for the Colorado Springs Astronomical Society George White said. "The tiny ones leave specs of dust and you don't see anything." But this likely meteor trail wasn't tiny. Some people they saw a large flash of light that broke into two pieces at 6:11 p.m. Thursday. White can't confirm 100 percent this was a meteor trail without video evidence. However, based on the pictures provided by KKTV viewers White believes the smoke was indeed created by a meteor. Several people along Interstate 70 called the Jefferson County Sheriff’s Office early Thursday evening to report a “fireball in the sky,” reported Denver7. Other media have reported that people saw what appeared to be a meteor trail also in New Mexico and Wyoming.